E-commerce providers depend on a safe, reliable, and highly-available online environment for customers to browse and buy. 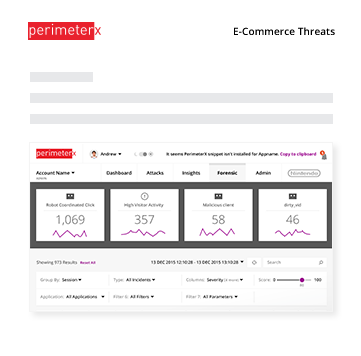 What makes a site attractive to customers, also makes the sites a target for automated attacks. Bots may steal product info and current prices in order to give competitors a shopping comparison advantage. They may try to buy limited release items ahead of actual customers, in order to sell to them at a higher price. And account take-over attacks attempt to hijack customer accounts for credit card or gift card fraud. Learn how we help.